Stefan Jacoby, who recently suffered a mild stroke, has been replaced as president and CEO of Volvo Car Group. 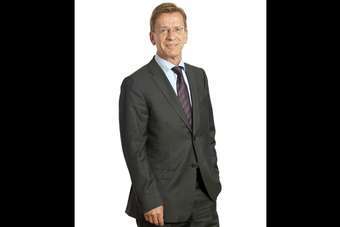 His successor is Håkan Samuelsson, a Volvo Car board member and former chairman & CEO of MAN SE. Jacoby has also lost his seat on the board. A statement from Volvo notes that Stefan Jacoby will leave Volvo Car Group after an amicable agreement with the board of Directors. He took sick leave in September, telling the media that he was recovering but had limited mobility in his right arm and leg. Volvo had said that Jacoby was making progress towards a goal of returning to work soon. Jan Gurander, the company's CFO has been serving as acting top executive in the interim. "I see major opportunities for Volvo Cars to improve profitability, and accelerate our growth plan in China specifically. I am convinced that Håkan Samuelsson's thorough experience and leadership will help us increase performance," says Li Shufu, majority shareholder and chairman of the Board. He continues: "We have a strong strategy and transformation plan in place which we will now execute. I would like to thank Stefan Jacoby for his valuable and strong contribution developing the strategy and taking the company through the first two years following the acquisition of the Volvo Car Group by Zhejiang Geely Holding". Håkan Samuelsson has 35 years' automotive industry experience, most recently as head of bus and truckmaker MAN SE between 2005 and 2009. In 2010, he was appointed as an independent member of the Board of Directors of Volvo Car Group. "My time on the Board has provided me with insight in the Volvo brand and the company. My focus will be on execution and performance, to secure profitability and meet our sales objectives. No other business is as demanding, complex and full of challenges as the automotive industry. I look forward to leading Volvo Car Group in the most exciting period of its history," Håkan Samuelsson is quoted as saying.